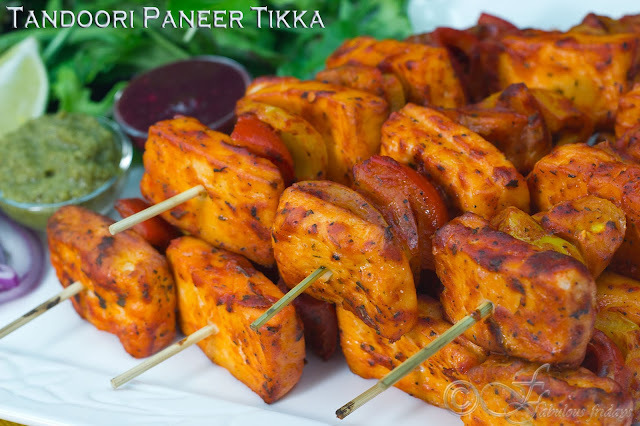 Soft chunks of paneer marinated in hung yogurt based marinade with tandoori masala and grilled to perfection with onions and peppers. Often served as a starter, paneer tikka has the char broiled flavor of the tandoor (clay oven) and is a great vegetarian alternative for BBQ. Marinated cubes of paneer are threaded through the skewers along with red onions, pepper chunks and mushrooms and grilled till they sizzle. 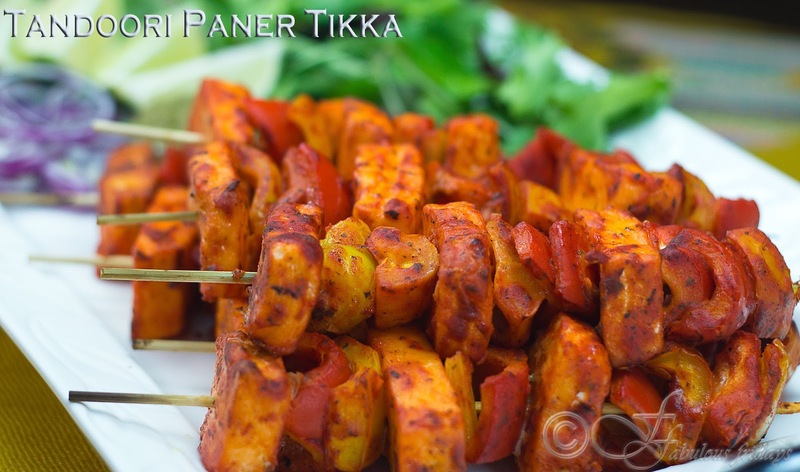 Serve them with mint chutney as a starter and with Plain naan as a meal. Cut paneer into 1" cubes about 6 per person. Cut big chunks of onion and green pepper (Can also include Red or yellow pepper if you like it colorful). Soak wooden skewers in water for an hour to prevent them from burning in the BBQ. Hang yogurt in a muslin filter for about 15 mins or until all the water drips out leaving a thick cream like yogurt. 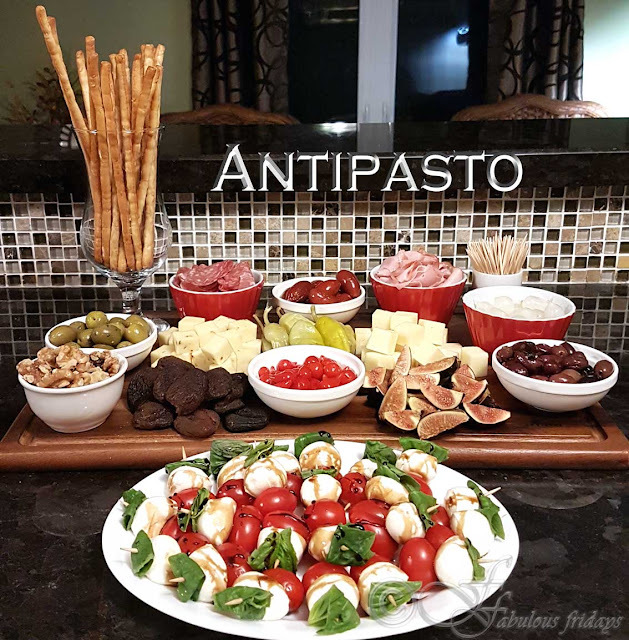 Mix all the other ingredients for the marinade into the yogurt to make a smooth paste. 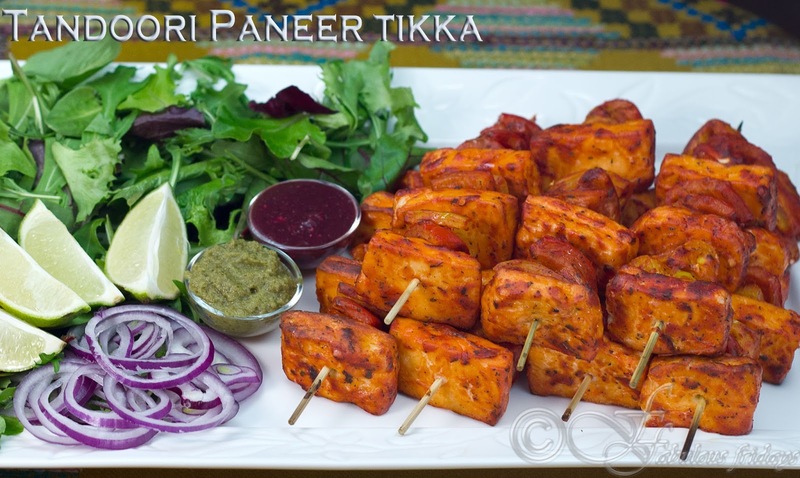 Marinate paneer cubes in this and leave in the refrigerator for minimum of 2-8 hours. Preheat the grill to medium heat, Thread the marinated paneer and vegetables onto the skewers, alternating paneer, onion and pepper. Spray them with some oil. Grill for about 15-20 minutes turning to brown evenly. Serve with lettuce, slices of onion, lime and mint chutney.